A: There is a service call associated with each repair. This is the cost for a technician to arrive at your home and make a professional diagnosis, this charge is $69.95. Upon diagnosis, there is an additional labor charge plus cost of parts which will be presented prior to starting any repairs. The labor cost typically ranges between $89 and $130. Parts are the only thing we are unable to provide an upfront estimate for as it varies depending on model, failure, brand, etc. Q: Can you get the repair done the first trip? Are there additional fees for multiple trips? 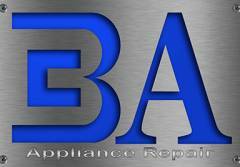 A: Our goal is always to make the appliance repair experience as convenient as possible. We carry a robust truck stock and complete the majority of repairs on the first trip, however we may not have every part for your appliance and sometimes a second trip is required. To help us complete the job on the first trip it is extremely helpful to call with your appliance model number when scheduling. You will never be charged multiple trip fees or service charges if a second trip is required. Q: Are there any brands you do NOT service? A: Yes, though we work on most major brands, we do not service LG, Sub-Zero, Viking, or Bosche. Q: Do you offer a warranty on your work? A: Yes, we offer 30 days warranty on labor and 90 days on installed parts. BA Appliance Repair Service is a family owned and operated Appliance Repair Company serving homeowners in the Greater Cincinnati Area. © 2019 BA Appliance Repair Service - All rights reserved.